Home / News & Blog / Articles / What’s better for my windows and doors – single, double, or triple glazing? Many people assume double glazing will naturally be better than single, and triple will be even better still, but it isn’t quite as simple as that. In this post, we’re going to look at single, double, and triple glazing and offer some advice on what might go best with your new aluminium windows and doors. The only real reason for choosing single glazing is if you live in a property that is a listed building and, therefore, you can’t make alterations such as adding more glazing. So then, double- or triple glazed windows and doors? When most people think of double glazing, their minds immediately rush to the original type that was developed in the 1970s. 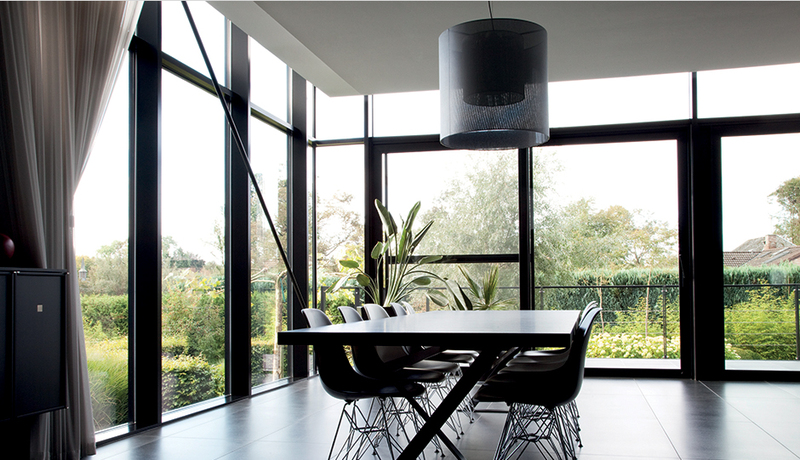 We’re here to tell you that double-glazing has changed beyond all recognition. No longer is it the cause of stuffy rooms or layers of condensation trapped between panes of glass. Triple glazing is becoming increasingly common and many people assume that as double glazing is better than single glazing, so triple glazing is better than double. The reality is that triple glazing does offer improved thermal insulation, although perhaps it’s not such a marked improvement over double glazing as is assumed. There are, however, a couple of key disadvantages – it is more expensive, and it is heavier. This additional weight of triple glazing reduces the maximum sizes for the window or door in which it can be fitted. So, if you want to go big… it might have to be double glazing. If you’re fitting windows and doors that need to achieve a particular standard (such as towards gaining Passive House accreditation) then you may need to specify triple glazing. If, however, you just want something that will keep the house sensibly warm, then the reality is that a well-specified double-glazed unit is more than adequate. In fact, you might even be hard pushed to notice the difference between this and the triple glazed alternative. If you’re interested in finding out more about Reynaers at Home’s Windows and Doors, please click here to submit your details, so that we can put you in touch with one of our dealers. Alternatively, please call 0121 421 9707 or email homeuk@reynaers.com. Next What’s better for my windows and doors - toughened glass or laminated glass?